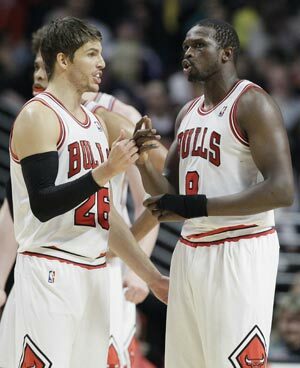 Luol Deng scored 20 points and Joakim Noah added 19 points and 12 rebounds for the Bulls, who scored the final eight points after the Pistons closed within four with just under 5 minutes left. Chicago improved its league-best record to 42-11 even though star Derrick Rose and Richard Hamilton remained sidelined by injuries. Brandon Knight scored 16 points for the Pistons.